Nothing will make your mornings less hectic than having breakfast taken care of. Having make ahead breakfasts ready to go can make a huge difference! 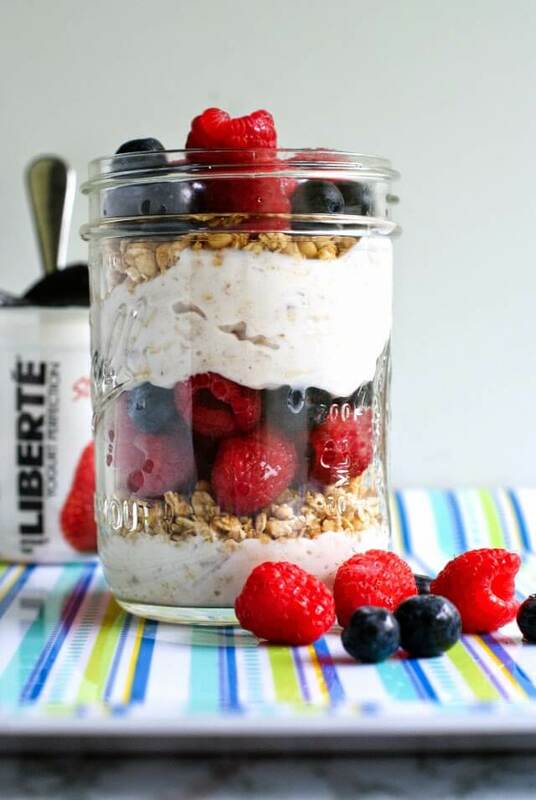 We also love healthy breakfast on the go options for busy mornings! With so many healthy breakfast dishes, everyone will have something for breakfast. I’ve put together a list of 25 healthy breakfast ideas you can make ahead and stock up on for busy school mornings. Let’s get the school year started off right with these quick and easy recipe ideas. The kids will love these quick healthy breakfast ideas! Little bites of fresh blueberries are like little bursts of sunshine, and the addition of fruit is one of my favorite parts of this dish. This recipe is hearty and packed with flavor. 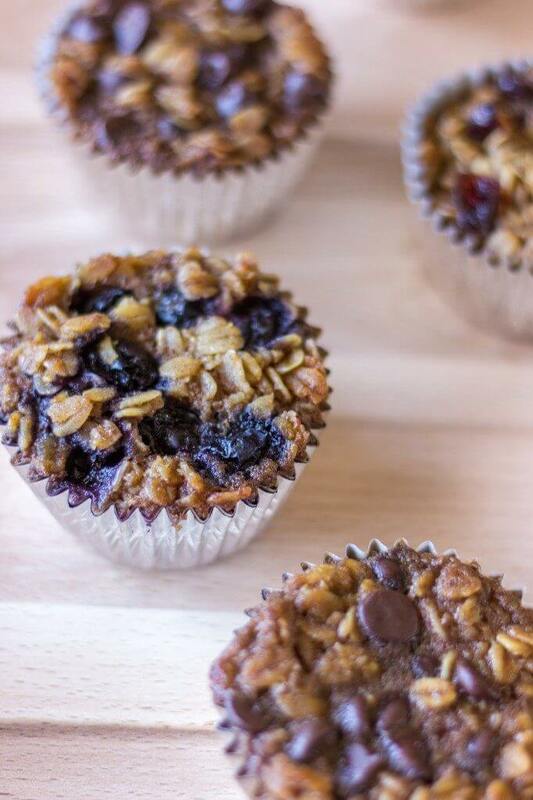 This Quinoa Egg Breakfast Muffin Recipe is a healthy, freezer-friendly recipe that you can grab and go! It’s also packed with protein so it will keep you feeling full. This plain oatmeal mixture is actually quite tasty all on its own. 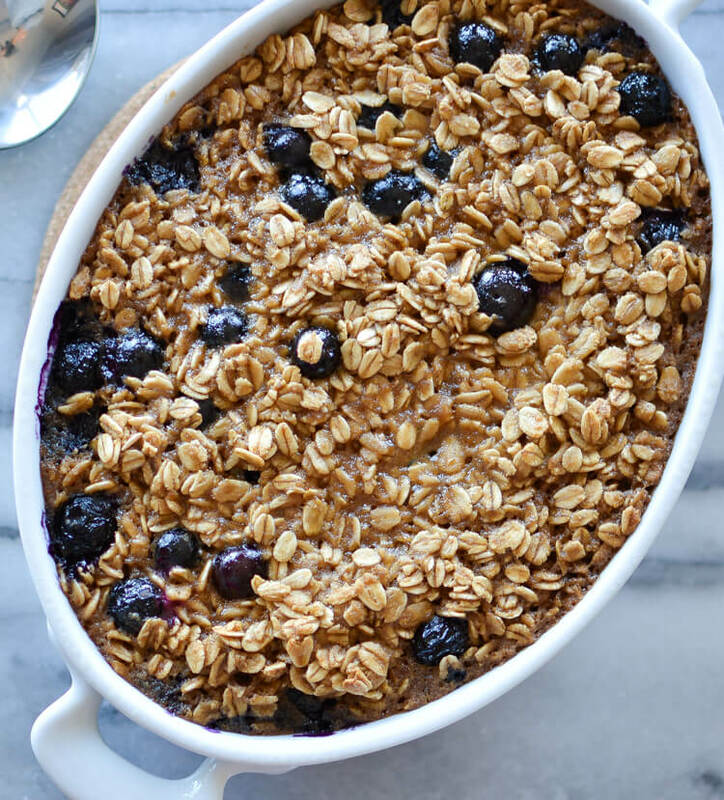 You could make this baked oatmeal without any additional toppings and it would be delicious. It’s very convenient to eat on the go as well. 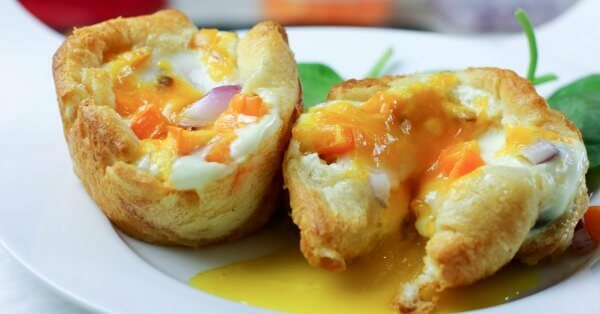 These Easy Breakfast Egg Muffins are quickly made with yummy Crescent rolls. Everyone loves crescent rolls so this is sure to be a hit with the kids. This is a tasty make ahead breakfast that takes little thought and will keep you eating healthy all week long. The ability to make these ahead will simplify school mornings. 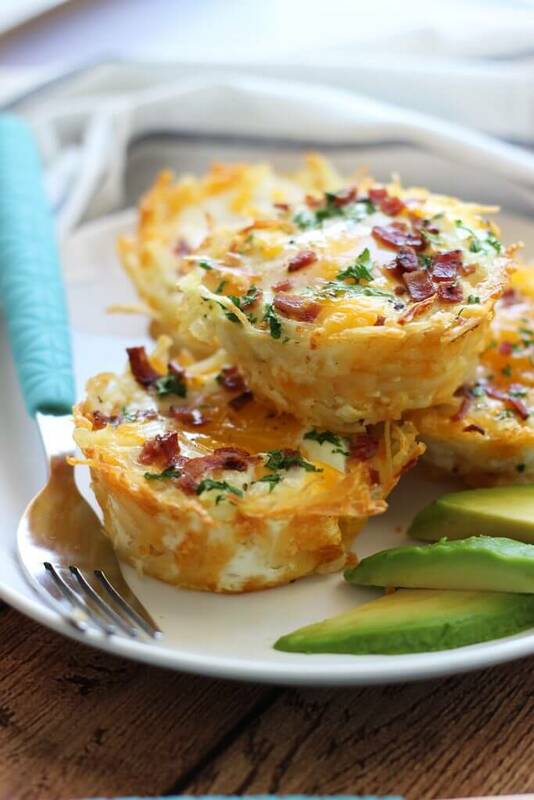 These egg nests will make your grumpy mornings not so grumpy. Each cup is packed with so much flavor that kids will gobble this up. 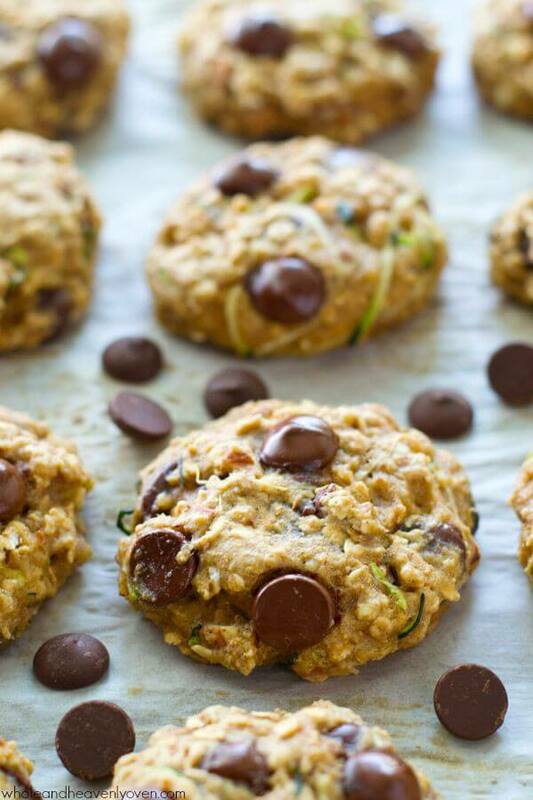 Jam-packed with all kinds of heart-healthy goodness, sneaky zucchini, and tons of gooey chocolate, these soft ‘n’ chewy breakfast cookies are the best way to start the day! The kids will love to eat these “cookies” for breakfast! 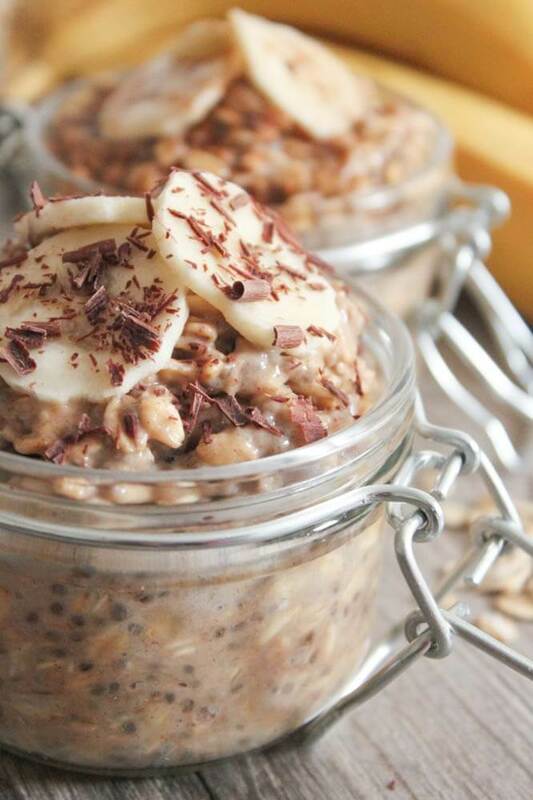 A quick and easy healthy breakfast option you can make ahead of time. 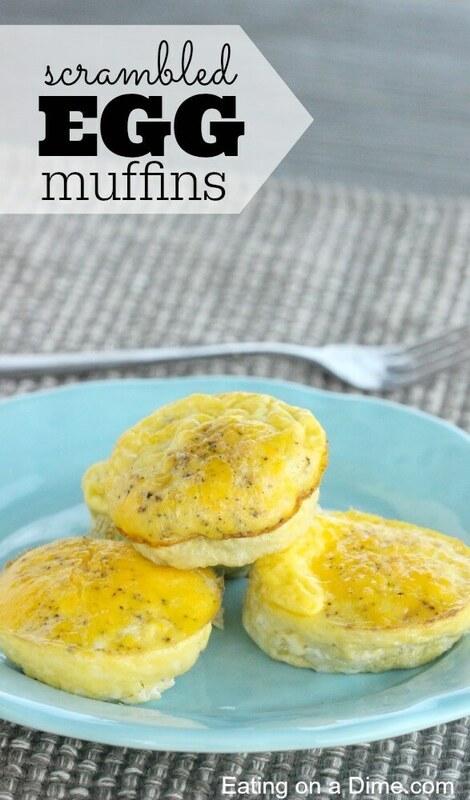 Plus, these egg muffins are perfect to eat on the go if you need to. Less clean up plus easy to grab and go is the perfect equation for a healthy breakfast. 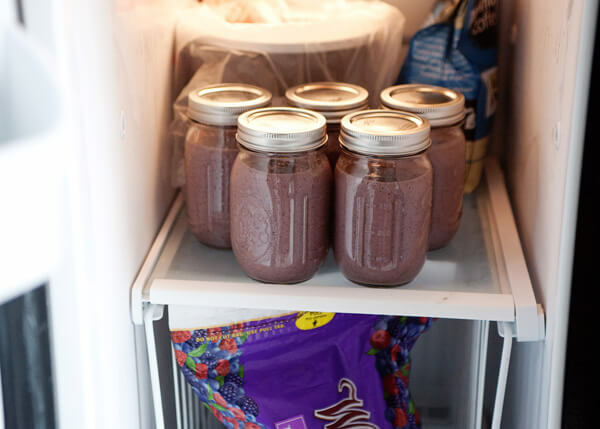 Everyone will love these smoothies and the clean up is a breeze. 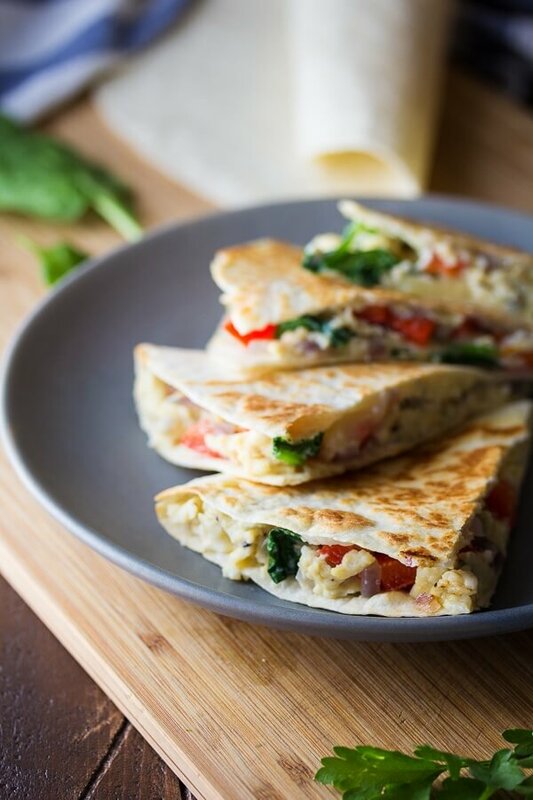 These quesadillas are filled with scrambled eggs, feta cheese, spinach and red peppers. This is such an easy, healthy weekday breakfast! Who doesn’t love french toast! This is the perfect school morning breakfast. 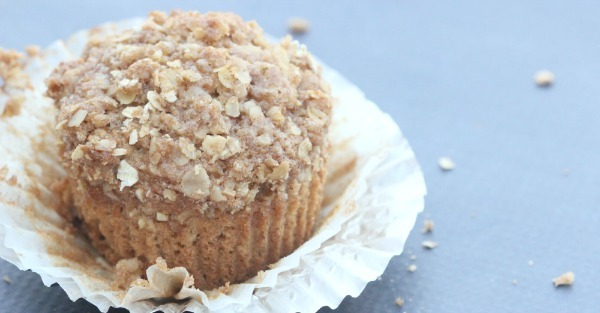 Everyone will love these Oatmeal Applesauce Muffins. These are so filling and easy to make. They’re cheap, they’re tasty, they’re filled with protein! 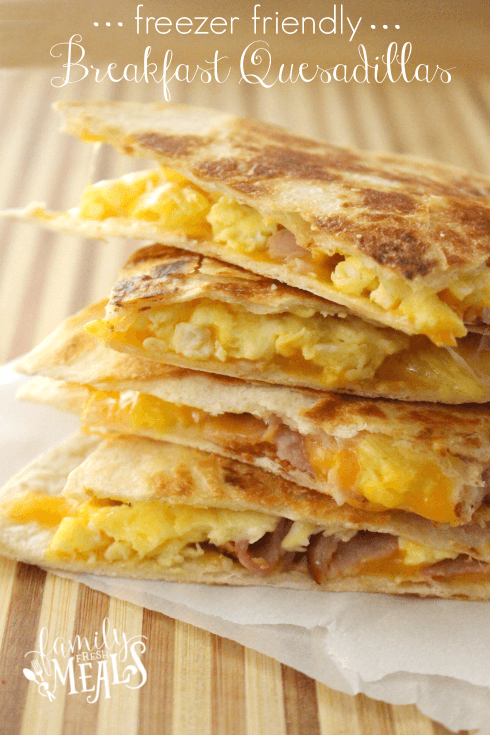 You can make a ton of these quesadillas for very little money. The combination of peanut butter and bananas is so comforting and delicious. It’s creamy and so yummy. This oatmeal is so filling and tasty. 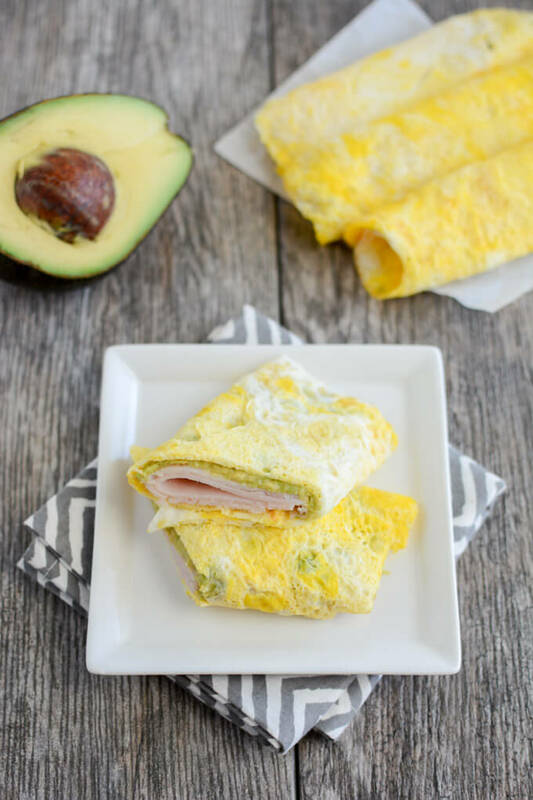 This recipe is PERFECT for mornings on-the-go, or just to have on hand whenever someone wants a warm and yummy breakfast. Perfect for busy mornings during the school week. 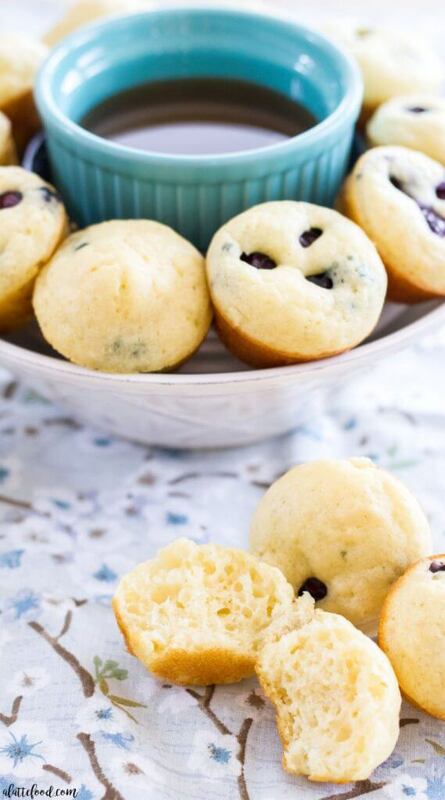 These easy homemade Pancake Mini Muffins are the perfect on-the-go breakfast recipe! Fill the basic pancake base with blueberries, chocolate chips, and anything else you desire! 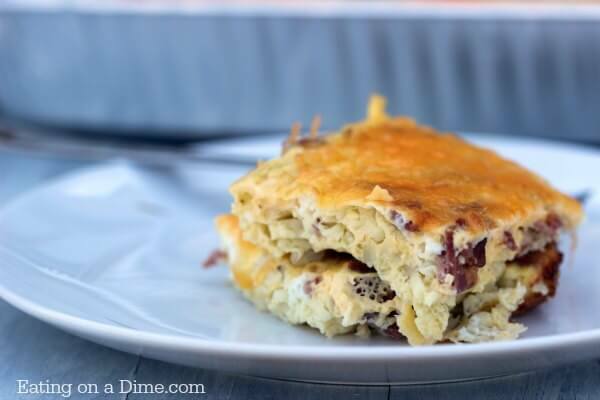 This breakfast casserole is a great way to make breakfast all at once to last the whole week. Everyone will be happy and the mornings will be less hectic for sure. Not to mention this casserole is so delicious. Everyone will enjoy having the option of eating Mexican food for breakfast. 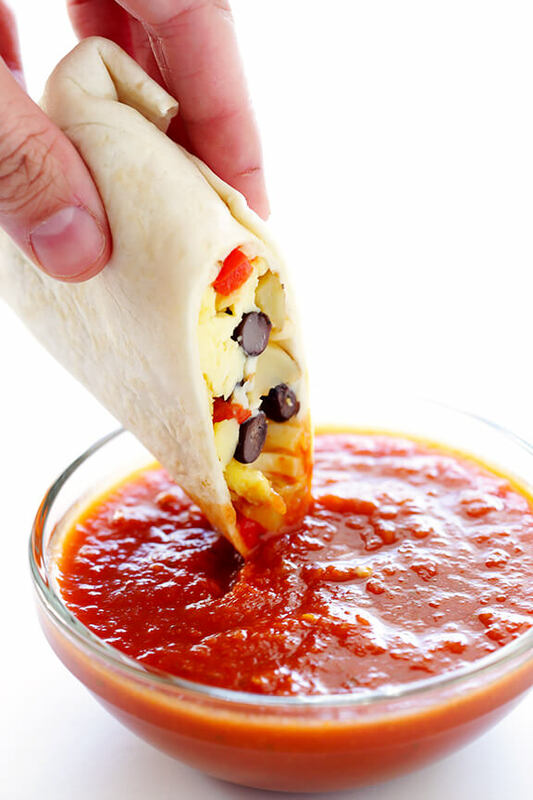 These freezer burritos are easy to make, take just 1 minute to heat back up, and are perfect for snooze-button-happy mornings when you’re on-the-go. 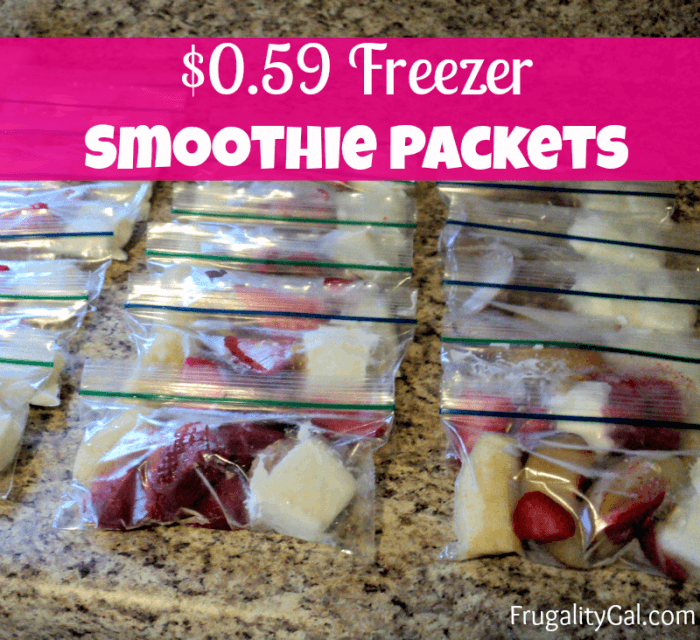 Not only are these smoothie packs super convenient, they’re extremely inexpensive and allow you to make a smoothie in under two minutes. This is a super quick breakfast! 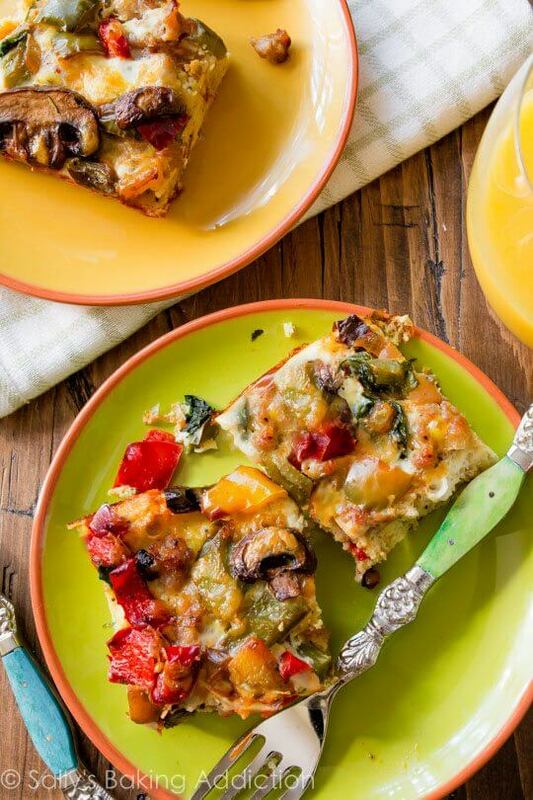 This breakfast casserole has all your favorite seasonings, vegetables, meats (or make it vegetarian), cheese, etc. 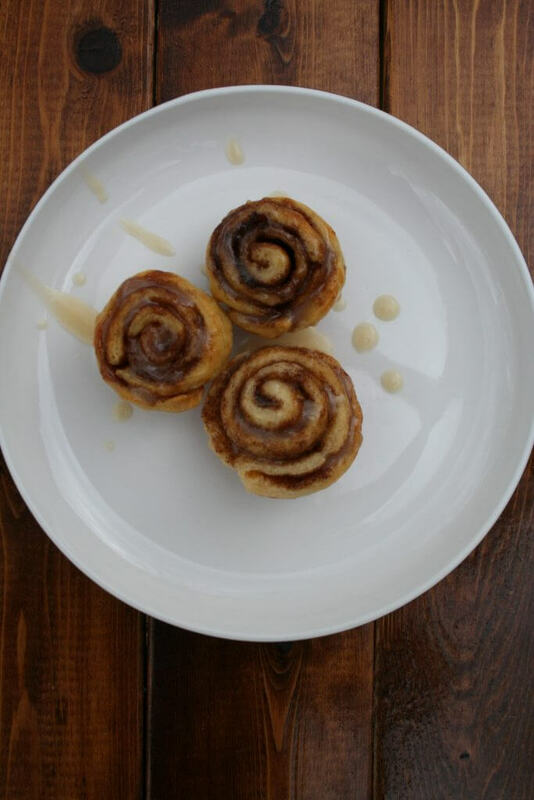 It is simple to prepare a large batch of cinnamon rolls to freeze. On busy mornings I can warm these up in less than two minutes. These freezer-friendly Bacon Potato and Cheese Waffles make school mornings just a little bit easier and a lot more yummy! 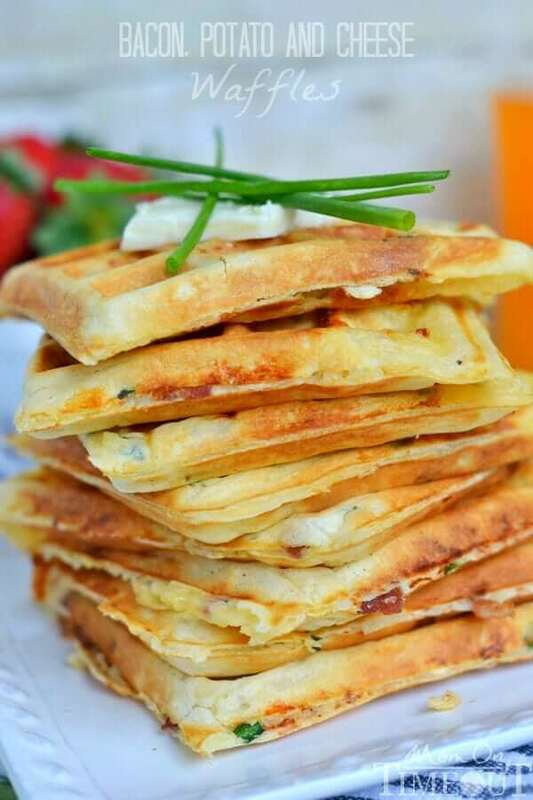 Perfect for breakfast, brunch, or an after school snack! This is a great way to eat low-carb with lots of protein. Yummy! This is A Fall favorite. 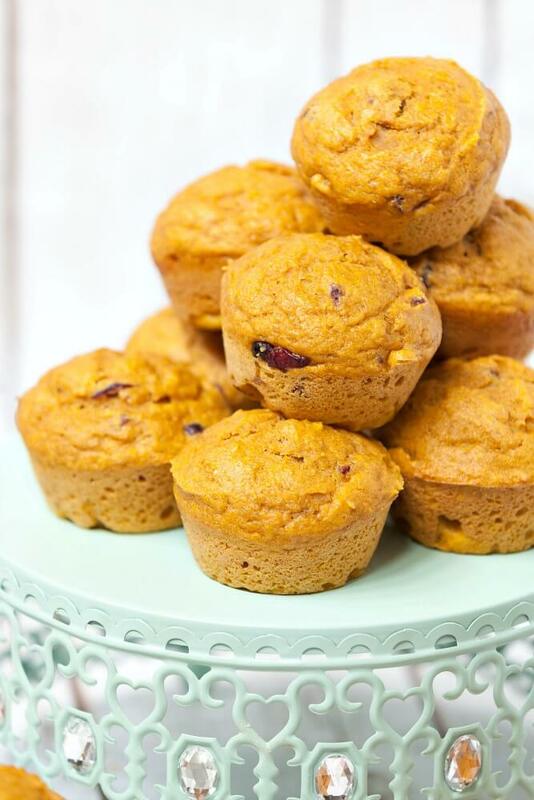 Pumpkin Cranberry Muffins made with healthier ingredients. 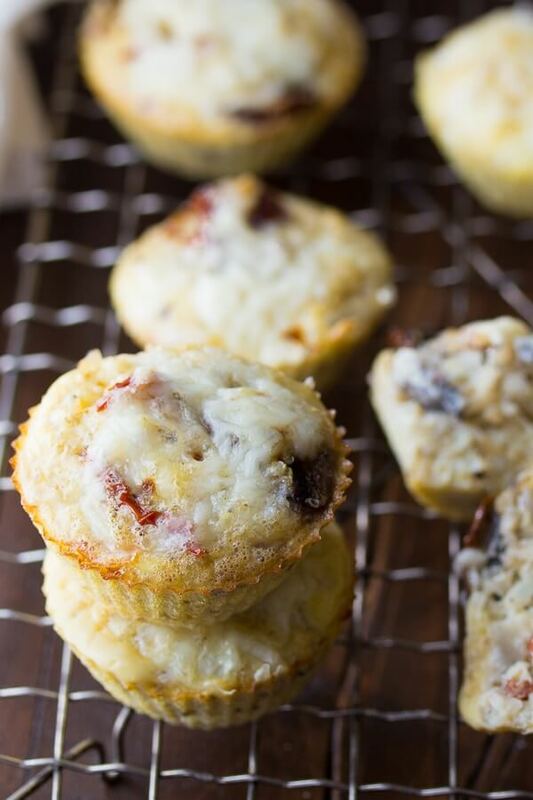 Keep them in your freezer for a quick breakfast or snack. 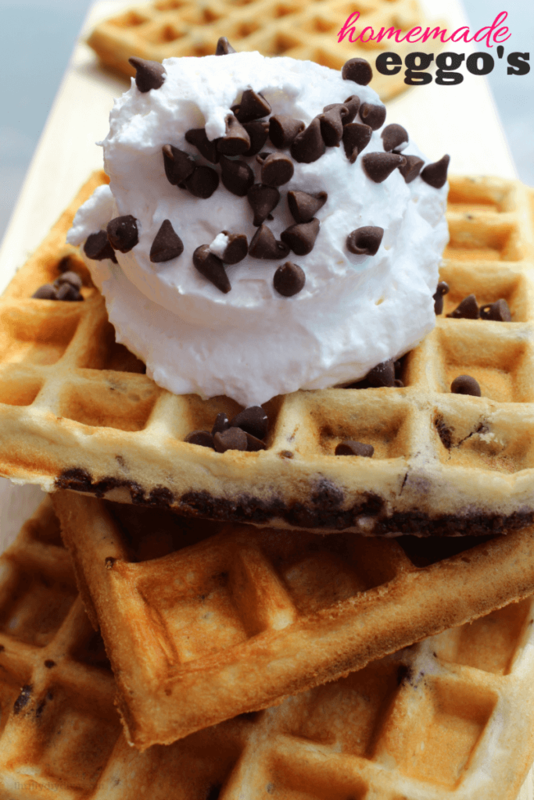 These Make Ahead Freezer Waffles Like Eggo’s will satisfy your hunger, and your wallet! 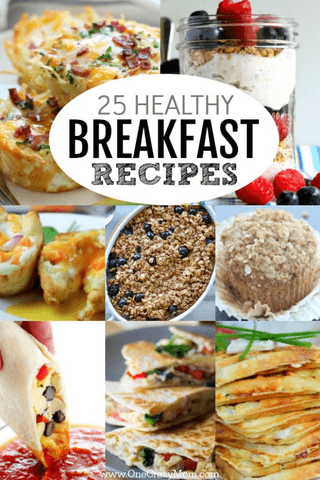 Now you have lots of good healthy breakfast ideas to try! These should help get the year off to a great start. I love these healthy breakfast ideas! I’m definitely going to try the make ahead waffles to make mornings even easier. 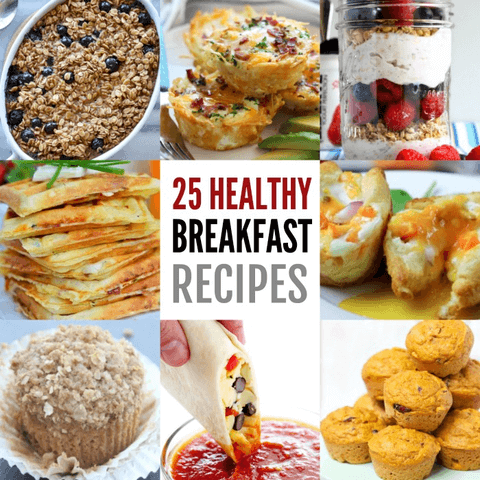 Choose from 25 healthy breakfast recipes that kids will love! What is the best thing to eat for breakfast to lose weight? Morning meals are so important. Starting your day on the right foot is a must. Breakfast ideas to lose weight that will keep you full include peanut butter, fruit and yogurt and more. Greek yogurt especially is protein rich. Poached eggs are another good option. We love avocado toast or overnight oats. Throw in some chia seeds in a smoothie bowl or oatmeal. 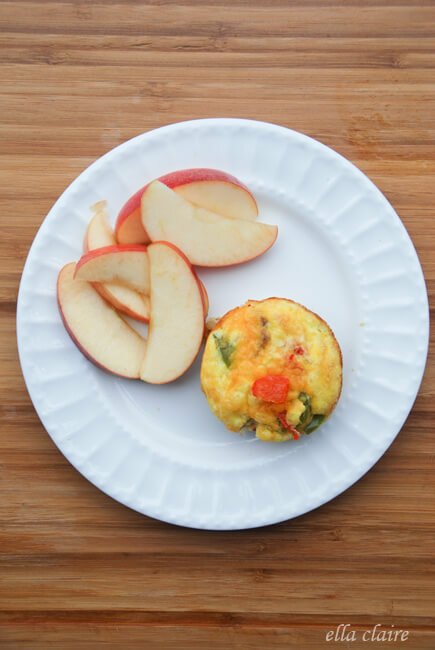 You now have lots of healthy breakfast menu options for the entire family! You can even bake a sweet potato or two the night before. Those make a healthy breakfast as well. Try using almond milk or almond butter for some of these breakfast recipes. So good! 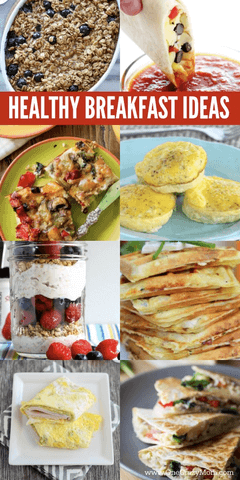 Let us know which of these easy healthy breakfast recipes are your favorite.